Kessingland - 4th (1 N), 12th (1 N), 13th (1 N), 15th (1 N), 20th (1 N), 21st (1 N, 3 S), 22nd (7 N, 1 S), 23rd (8 N, 7 S), 24th (4 N, 5 S), 25th (2 N, 1 S), 26th (1 S), 27th (3 N, 1 S), 28th (2 N, 4 S), 29th (10 N, 1 S), 30th (4 N, 4 S). Ness Point - 21st (3N, 3S), 23rd (25), 24th (1 N), 25th (1 N), 28th (2 N), 30th (1 S). Singles flew past Ness Point on the 23rd (N), and Kessingland on the 26th (N), 27th (N) and 28th (S). Kessingland - 2nd (1 S), 11th (1 S). Ness Point - 2nd (1 N), 21st (1 on sea). Kessingland - 1st (4 N, 2 S), 2nd (6 N, 6 S), 3rd (4 N), 5th (5 N), 6th (3 N), 7th (1 N), 8th (1 N, 1 S), 9th (1 N, 1 S), 15th (1 N), 21st (1 N), 25th (1 N), 28th (1 N). Ness Point - 1st (1 N), 2nd (1 N), 21st (1 N). Pakefield - 22nd (1 N). The third individual this year flew leisurely, but distantly, north past Ness Point at 18:15. It was brilliantly lit over the almost flat calm sea. A life tick for the two editors and a Lizard Land tick for Tim Brown! 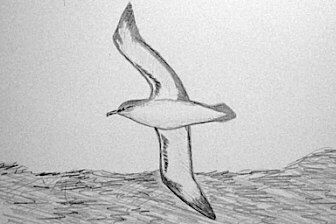 Digiscoping certainly results in good, to passable, images for the closer seabirds, but for more distant birds paper and pencil often remains the only way to capture the birds image. Two more flew north past Ness Point on the 23rd, the first at 16:50 and the second at 17:55. Kessingland - 1st (2 N @ 9:24 and 14:35), 5th (7 N, 1 S), 11th (2 N @ 09:35), 21st (1 N @10:15), 25th (2 N @15:55, 1 N @ 17:15). Corton - 1st (1 N @ 14:55). Ness Point - 1st (1 N @ 14:48), 21st (8 N, 1 o.s. ), 23rd (1 N). On the 21st, at least two, possibly three, were watched feeding behind a fishing boat on the horizon off Ness Point. As it headed inshore views became progressively better and they could be seen frequently wheeling around and settling on the water amongst the mass of gulls, but when the gutting of the catch ceased one of them was seen to carry on north immediately whilst the other remained on the sea (Though it presumably flew off later). 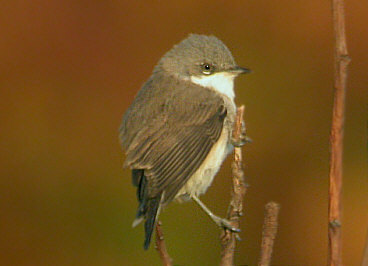 Other birds during the day ranged between about 2.5 kilometres and the horizon. Unbelievably the scarcest shearwater of the autumn with just three sightings. The first flew north past Kessingland at 6:55 on the 24th with the second north past Ness Point and Corton at 16:45 on the 27th, and the third north past Kessingland on the 29th. Three were seen off Ness Point during the day on the 21st, the first heading north about four kilometres out. The second bird gave superb views as it flew leisurely south along the line of the Holm Sand only two kilometres offshore, as it reached the southern tip of the sandbank it headed out and turned northwards heading out beyond three kilometres. The last bird of the day was a very distant northbound bird. One flew north past Kessingland at 14:47 on the 24th, and the fifth bird of the month flew north then returned southbound close inshore past Ness Point on the 28th. One headed north past Kessingland on the 25th. Kessingland - 1st (8 N, 5 S), 2nd (11 N), 3rd (6 N), 4th (9 N, 2 S), 5th (30 N), 6th (10 N), 7th (4 N), 8th (2 N), 9th (9 N), 10th (18 N, 3 S), 11th (14 N), 12th (6 N, 1S), 13th (11 N), 14th (3 N), 15th (7 N), 16th (4 N, 1 S), 17th (7 N, 3 S), 18th (19 N, 1 S), 19th (11 N, 1 S), 20th (9 N, 3 S), 21st (48 N, 1 S), 22nd (86 N, 5S), 23rd (21 N, 175 S), 24th (51 N), 25th (47 N), 26th (35 N, 2 S), 27th (20 N), 28th (22 N), 29th (134 N, 6 S), 30th (46 N, 11 S). Ness Point - 1st (5 N), 2nd (4 N), 7th (3 N), 21st (200+, more numerous early in the day), 23rd (300+), 27th (20), 28th (12). Corton - 9th (3 N, 1 S, 1 0.s), 11th (9 N, 1 S). Corton - 7th (7 N). Kessingland - 6th ( 3 S), 8th (1 N, 2 S), 9th (1 N), 10th (1 N), 11th (2 S), 12th (3 N), 13th (1 N), 14th (1 S), 15th (2 N), 16th (1 N, 2 S), 17th (3 N, 2 S), 18th (3 N), 19th (1 N, 2 S), 20th (1 N), 21st (1 N, 1 S), 22nd (1 N, 9 S), 23rd (3 S), 24th (4 N), 26th (1 N, 1 S), 27th (1 S), 28th (5 N, 1 S), 29th (2 S). Ness Point - 27th (1 N, 1 S), 28th (3 N). 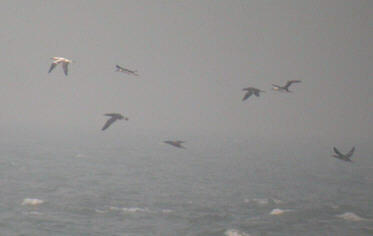 Two flew in off the sea early afternoon at Kessingland on the 7th, and singles flew south there on the 18th and 26th. One was around the pond at Corton sewage works on the 8th (hopefully eating the goldfish in there!). Kessingland - 23rd (2 N), 24th (4 S), 25th (2 S), 28th (21 N), 29th (2 N, 1 S), 30th (25 S). Ness Point - 23rd (1 N, 4 S), 26th (2 S), 27th (6 N, 2 S), 28th (32 N), 30th (1 S). Kessingland - 2nd (6 N, 3rd (2 S), 6th (6 N), 12th (5 N), 13th (1 N), 16th (2 N), 20th (1 N), 27th (3 S). Corton - 12th (6 N). Kessingland - 5th (9 S), 6th (14 S), 10th (2 N, 3 S), 11th (44 N, 18 S), 12th (48 N, 7 S, 30 o.s. ), 13th (1 N), 14th (22 S), 15th (12 N), 18th (12 S), 21st (3 S), 22nd (16 S), 26th (23 S), 28th (41 N, 9 S), 29th (13 N, 30 S), 30th (1 N, 58 S). Ness Point - 2nd (5 S), 21st (7 S), 28th (25 N), 30th (10 S). Corton - 6th (2 S). Pakefield - 22nd (24 S). Kessingland - 1st (3 N, 11 S), 2nd (5 N, 67 S, 3 o.s. ), 4th (17 S), 5th (34 S), 6th (105 S), 7th (1 S), 10th (11 N, 4 S), 11th (40 S), 12th (14 N, 8 S), 13th (10 S), 14th (47 S), 15th (1 N), 16th (10 S), 17th (7 S), 18th (30 S), 19th (3 S), 20th (20 S), 21st (10 S), 22nd (76 S), 24th (15 S), 26th (5 S), 28th (49 S), 29th (18 S), 30th (70 S). Corton - 6th (3 N, 20 S), 12th (14 N, 12 S). Ness Point - 6th (15 S), 21st (50+ S), 28th (36 N), 20th (19 S0. 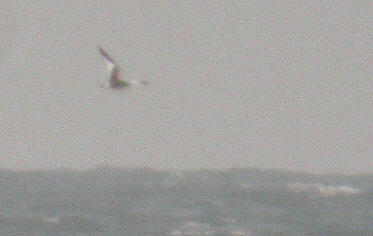 One drake flew north past Ness Point on the 28th. Kessingland - 5th (1 S), 10th (6 N), 12th (2 N), 22nd (4 S). Ness Point - 21st (3 S). Kessingland - 5th (4 S), 6th (3 S). Kessingland - 6th (2 S), 10th (1 S), 18th (2 S), 28th (1 N). Kessingland - 1st (5 N), 2nd (1 N, 3 o.s), 4th (1 N), 5th (1 N), 7th (8 N, 35 S), 8th (20 S), 10th (1 N), 11th (10 N, 6 S), 12th (3 N), 14th (8 S), 17th (1 N, 1 S, 2 o.s. ), 20th (1 o.s. ), 21st 4 S), 24th (32 N, 10 S), 25th (1 N), 26th (30 N), 28th (28 N, 50 o.s. ), 29th (5 N, 51 S), 30th (2 S). Ness Point - 1st (9 N), 2nd (3 N), 21st (2 N, 2 S), 28th (4 N). Kessingland - 8th (7 N), 10th (3 N), 15th (1 N), 22nd (25 S), 23rd (1 N, 7 S), 24th (5 N). Lowestoft Harbour - 5th (1 in Hamilton Dock). Ness Point - 23rd (5 S), 27th (imm. o.s), 28th (1 N). Six flew north past Ness Point on the 28th, which may have included the four that flew north past Kessingland the same day. One flew south over Mutford at 11:00. Two were seen over Mutford on the 16th, and one flew south over Herringfleet on the 17th. One flew in off the sea carrying a Meadow Pipit at Ness Point on the 28th. Noted at Kessingland on the 4th (06:20 S), Corton on the 6th, Waveney Forest on the 11th (2), Kessingland on the 16th (in off sea then south) and Fritton on the 17th. At least 3 were at Corton Cliffs on the 8th and a pair with two young were seen at Kessingland on the 13th. Kessingland - 1st (2 S), 2nd (1 N), 8th (1 N, 18 S), 9th (1 N), 10th (12 S), 13th (1 S), 14th (2 S), 15th (3 S), 16th (1 S), 19th (1 S), 20th (3 S), 24th (1 S), 27th (2 S). Corton - 1st (1 S). Ness Point - 1st (5 N), 21st (2), 26th (2). Lowestoft North Beach - 22nd (3). Two flew north past Kessingland on the 4th. The juvenile found on Kessingland Beach on August 31st was last seen on the 5th. It favoured the short turf mid way between the sluice and the southern end of the caravan site. Corton - 1st (13 N). Hopton - flock of 87 flew north west of A12 on the 6th. Ness Point - 1st (1 N), 21st (3 S), 28th (8 N). Kessingland - 28th (30 N). Kessingland - 17th (1 S), 18th (8 S). Ness Point - 1st (4 N). Hopton Beach - 1st (8). Ness Point - 6th (4 S), 15th (1), 21st (4 S), 28th (42 N). Kessingland - 20th (1 S), 22nd (6 S). Ness Point - 7th (1), 27th (1). One flew south and then turned inland off Ness Point on the 21st. Kessingland - 15th (1 S), 20th (1 S). Kessingland - 5th (4 S), 10th (8 S), 20th (10 S). Corton - 6th (1 on groynes). Ness Point - 28th (1 N). Corton - 6th (3 S). Kessingland - 1st (1 N, 1 S), 2nd (3 N), 6th (2 S), 18th (1 S), 20th (1 N). Corton - 6th (1 S), 14th (2 S). Kessingland Sluice - 7th (1). Ness Point - 6th (1), 7th (12), 8th (7), 15th (1), 21st (7 including a returning Dutch colour ringed individual), 22nd (7), 27th (4), 28th (36 N). Kessingland - 19th (1 N, 1 S), 23rd (1 N). Numbers of Pomarine and Arctic Skuas are difficult to assess at the moment. Many are lingering offshore patrolling the coast between Lowestoft and Corton where many terns and gulls are present at the moment. One Pomarine seen from Kessingland on the 2nd took over an hour to reach Ness Point - possibly due to the fact it was chasing every large gull that crossed its path!!! 1st - 06:25 one was attacking Herring Gulls about 2 kilometres from the beach, before settling on the sea. 2nd - one dark phase flew north at 18:20. 5th - two dark phase birds north. 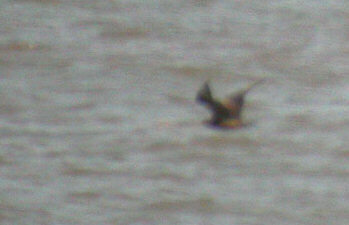 7th - one dark phase bird settled on the sea for 5 minutes before continuing north at 15:55. 11th - one dark phase south at 17:20 before settling on the sea. 13th - one north at 10:05. 23rd - on pale phase south then on sea. 24th - two north and one south. 26th - one settled on the sea after attacking a Gannet and two Herring Gulls. 27th - one carried out a prolonged assault on a Great Black-backed Gull. 1st - 1 N @ 17:30 one steamed into the Herring and Lesser-black Backed Gulls offshore. It then headed north-east out to sea and a very distant skua heading back south at 18:05 was probably the same individual. 4th - one adult, still with partial tail projection, north. 5th - two north including the same adult as on the 4th. 23rd - one juvenile lingering offshore in the evening. 25th - one north, and one south then lingering on sea. 27th - dark juvenile north late afternoon. Kessingland - 1st (3 N, 1 S, 2 lingering), 2nd (1 N), 5th (1 S), 7th (1 N), 9th (2 S), 10th (3 lingering), 11th (1 N), 12th (2 N), 19th (1 N), 21st (1 N), 22nd (1 S), 23rd (4 N, 1 S), 24th (1 N), 25th (2 S), 27th (1 N), 28th (1 N). Ness Point - 1st (1 N dark), 2nd (2 N), 21st (2 N, 5 S), 23rd (18 sightings various directions), 25th (1 N), 27th (1 N). Corton - 12th (1 N), 27th (1 pale phase N). One flew south past Ness Point at 10:15 on the 23rd. Kessingland - 5th (1 N at 07:05), 6th (1 N at 06:50), 8th (1 N at 06:35), 21st (1 S at 10:30), 23rd (3), 24th (1 N, 1 S), 25th (1 N, 2 S), 27th (1 N). Ness Point - 5th (1 N at 18:30), 21st (2 N, 1 S). In very poor visibility on the morning of the 10th three sightings were made of a probable juvenile Long-tailed Skua between 09:30 and 09:55. Unfortunately, fleeting glimpses made in the misty drizzle as the bird meandered north then south before dropping onto the sea were inconclusive. Lowestoft Harbour - 5th (ad). Lowestoft North Beach - 9th (1st-winter). Ness Point - 6th (ringed adult), 21st (1st winter N, 2nd winter N then S), 23rd (1st winter N), 27th (ad. N), 28th ( 2 ad. N). Kessingland - 6th (2 N). Pakefield - 22nd (adult S). Kessingland - 2nd (1 N), 3rd (5 N), 4th (4 N), 5th (8 N), 7th (1 N), 8th (1 N), 10th (1 N), 11th (8 N), 12th (28 N), 13th (12 N), 14th (3 S), 15th (9 N, 5 S), 17th (1 N), 22nd (1 S), 29th (7 N), 30th (4 N). Ness Point - 1st (2 ad), 2nd (6 N), 21st (1 N, 5 S), 27th (4 N), 28th (2 N). Corton - 6th (1 N), 8th (ad N). Fears that sightings of this species after Stumpys' 11.5 week stay would be something of anticlimax fortunately proved to be entirely unfounded when an immaculate juvenile was picked out in a feeding frenzy of gulls around a fishing boat just off Lowestoft harbour on the afternoon of the 21st. Having appeared to fly off south and way out to sea it was noted again a short while later in the same area off the harbour. It was then seen one more time heading north eastwards out to sea off Ness Point approximately an hour and a half after the initial sighting. The striking wing pattern so noticeably lacking on Stumpy can be seen to good effect in the photo below. 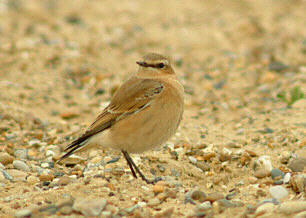 The regular adult was along Lowestoft North beach on the 23rd, 27th and 28th. Two different birds were present there on the 30th. Kessingland - 1st (1 N), 2nd (6 N), 3rd (1 N), 4th (1 S), 5th (13 N, 1 S), 6th (3 N), 8th (1 N, 1 S), 9th (1 N), 10th (1 N), 11th (1 N), 13th (1 N), 15th (1 S), 27th (1 N), 28th (1 S). Kessingland - 1st (15 feeding), 2nd (15 feeding), 3rd (10 feeding), 4th (7 feeding), 5th (12 feeding), 6th (7 feeding), 7th (10 feeding), 8th (5 feeding), 9th (11 S, 2 feeding), 10th (3 S, 5 feeding), 11th (15 feeding), 12th (10 feeding), 13th (12 N, 1 feeding), 14th (5 S, 5 feeding), 15th (9 N, 6 S), 16th (14 S, 3 feeding), 17th (12 S, 1 feeding), 18th (10 S), 19th (2 N, 1 S), 20th (1 N, 17 S), 21st (32 S), 22nd (1 N, 19 S), 23rd (2 N, 16 S), 24th (2 N, 10 S), 25th (4 N, 8 S), 26th (6 N, 13 S), 27th (2 N, 16 S), 29th (2 N, 6 S), 30th (5 N, 4 S). Ness Point - 5th (5 S), 8th (1 S), 10th (6 on groynes), 21st (25 S), 27th (1 N). Kessingland - 1st (30 S, 25 feeding), 2nd (10 S, 40 feeding), 3rd (35 feeding), 4th (10 S, 40 feeding), 5th (15 S, 20 feeding), 6th (10 S, 20 feeding), 7th (5 feeding), 8th (10 S, 15 feeding), 9th (3 S, 2 feeding), 10th (5 S, 2 feeding), 11th (5 feeding), 12th (31 N, 5 feeding), 13th (7 N, 4 feeding), 14th (16 S, 1 feeding), 15th (2 N, 10 S), 16th (9 S, 9 feeding), 17th (5 S), 18th (10 S), 19th (4 feeding), 20th (1 S, 8 feeding), 21st (5 S), 22nd (9 N, 29 S), 23rd (1 N, 5 S), 24th (1 N, 1 S), 25th (3 N), 27th (4 N), 28th (1 N), 29th (1 N), 30th (2 N). Ness Point - 5th (4 S), 21st (5 S). Ness Point - 21st (3 juveniles south), 28th (1 N). Kessingland - 1st (1 feeding). Two flew south close inshore at Kessingland on the 22nd. Ness Point - 1st (1 o.s), 5th (1 o.s), 21st (3 N, 4 S, 1 o.s. ), 25th (3 N), 27th (4 N, 1 S), 28th (1 o.s.). Lowestoft North Beach - 5th (1 dead). Corton - 9th (1 dead), 21st (3 o.s. ), 27th (1 S). One was on the sea a few metres from the beach at Kessingland on the 5th, and another was northbound off Ness Point on the 28th. One flew north past Kessingland and Ness Point on the 23rd. Kessingland - 2nd (2 N), 5th (1 N), 8th (8th (2 N), 11th (2 N), 12th (2 N, 1 S), 13th (2 S), 14th (1 N, 1 S), 18th (1 N), 20th (1 N, 2 S), 21st (1 N), 22nd (3 N), 23rd (42 N), 24th (26 N), 25th (11 N), 26th (1 N, 4 S), 27th (8 N), 29th (7 N, 4 S), 30th (3 N). Ness Point - 23rd (16). 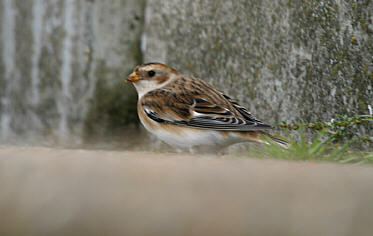 16 were at Corton sewage works on the 8th with 25 on the 11th. One was with Collared Doves at Mutford on the 23rd. One was calling at Corton during the afternoon of the 8th. Owls arriving in off the sea in the autumn - what a wonderful sight. One was circling over clifftop fields at Corton on the 27th before heading inland. As usual it looked out of place flopping around looking for somewhere to land trying to avoid being mobbed by anything that feels threatened. Brilliant!!!!!!!!!! One was watched flying inland over the Bird's Eye factory at Ness Point on the 11th. Whether it had arrived off the sea is uncertain. It's possible it was a wandering bird from Lake Lothing. Another was around the pond in Corton Woods on the 12th, with quite probably the same bird in flight over the lake in Pleasurewood Hill Theme Park on the 20th. Noted at Belle vue Park, Lowestoft and Gunton Railtrack on the 8th. Kirkley Cemetery - 8th (2). Lowestoft North Denes - 27th (1). One flew north with Swallows at Gunton Beach on the 28th. 77 flew north at Corton in a 20 minute spell on the 9th. Two flew in off the sea at Ness Point on the 23rd. 30 flew north over Corton on the 9th. Six flew north over Gunton Beach on the 28th. One was present for a short time on the lawn inside the Birds Eye factory at Ness Point on the afternoon of the 28th. Gunton - 6th (1 S). Three arrived in off the sea at Corton on the 9th and on the 12th c30 were in the stubble fields around Corton old sewage works. Several hundred passed south along the coast and arrived off the sea during the morning of the 21st, though passage had completely stopped in the afternoon. Two flew in off the sea at Pakefield on the 22nd, and ones and two were arriving in off the sea at Ness Point at dawn on the 24th and dusk on the 27th. 300+ were between Ness Point and Gunton Beach at dawn on the 28th in pouring rain, and large numbers remained in the area throughout the day. A flock of 17 flew south past Ness Point on the 30th. Kessingland sewage works - 7th (1). Lowestoft - 9th (1 S calling). Gunton railtrack - 14th (1 over). Gunton - 5th (1), 6th (1). Lowestoft North Denes - 6th (1), 14th (1). Kessingland Beach - 5th (2). Ness Point - 28th (1). Ness Point - 3rd (2), 28th (1). Gunton - 3rd (1), 4th (2 male), 6th (1), 7th (1), 8th (1), 15th (1), 25th (1), 30th (1). Corton - 11th (1), 30th (1). Kirkley Cemetery - 9th (1). Lowestoft North Denes - 1st (1), 2nd (1), 12th (1), 14th (3), 15th (1), 16th (2). Ness Point - 2nd (2), 14th (3), 21st (2), 28th (1). Corton - 6th (2), 16th (6), 20th (1). Gunton - 2nd (1), 6th (1), 16th (3). Kessingland Beach - 5th (5), 7th (11), 14th (1), 17th (2), 18th (1), 20th (1), 22nd (4). Pakefield Cliffs - 7th (5). Gunton disused railway - 2nd (1), 3rd (1), 6th (2), 8th (1). Lowestoft North Denes - 2nd (2), 3rd (1), 14th (1). Corton - 3rd (2), 6th (2), 16th (1). Kessingland Beach - 5th (4), 7th (4). One was at Corton on the 14th. One was noted at Gunton on the 29th. Apparent migrants were at Corton on the 27th signally autumn migration is well underway. Gunton disused railway - 2nd (4). Gunton Beach - 3rd (2). North Denes - 28th (1). Gunton Beach - 3rd (1). Kirkley Cemetery - 8th (1). North Denes - 13th (1). Denes Oval - 13th (1). Gunton Warren - 13th (1). Kessingland sewage works - 14th (1). Corton - 6th (1), 11th (10), 17th (2). Gunton - 13th (6+), 16th (12+). Corton railtrack - 11th (1). What the autumn is all about!!! One was along Corton disused railtrack on the 27th. As normal with the first one of the autumn it was typically elusive. Let's hope the one's that follow (optimistic thinking) will be more obliging. After a blank day at Corton on the 28th, what was probably a new individual was present along the disused railway line there on the 29th September to 1st October. A third bird was seen along Gunton disused railway line on the 30th, and this one was even singing at times. The first of the autumn was along Arnold's Walk, Lowestoft on the 14th. One was at Corton railtrack on the 27th. Two were in Waveney Forest on the 11th and a migrant at Corton Churchyard on the 14th. Another migrant was sitting on the railings in the car park at Ness Point at dawn on the 28th, it spent the remainder of the day in the vicinity of the gasometer compound. An obliging, and at times quite vocal, individual was along Corton disused railway line on the 28th, and was still present on the 30th, it is pictured below. This species is always a pleasure to watch. Corton railtrack - 7th (1). Hopton (Warren Lane) - 7th (2). Belle vue Park - 8th (1). Unusual in central Lowestoft itself one was in Belle vue Park on the 1st. Possibly the same bird was in Sparrow's Nest on the 28th, with a second bird at Links Road. An increase in numbers along the coast was noted on the 27th. 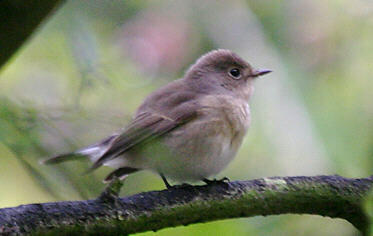 A flock of four arrived in off the sea at Warrenhouse Wood on the 28th. One flew over Corton disused railtrack on the 29th, and three were at Gunton the same day. Noted over Corton on the 21st (1 N) and 27th (6 N) and at Gunton on the 25th (small flock south). Three flew over Corton disused railtrack on the 29th. One flew north over Lowestoft North Denes and Gunton Beach on the 27th. Ness Point - 12th (2). One dropped in at Ness Point on the 28th, it fed along the sea wall briefly before heading north. One was seen at Corton old sewage works on the 20th. On the 28th newly arrived migrants were noted at Ness Point (2), Warrenhouse Wood (3) and the North Denes (1).